I’m not sure if we already featured Alessandro Diddi, a skilled italian illustrator. 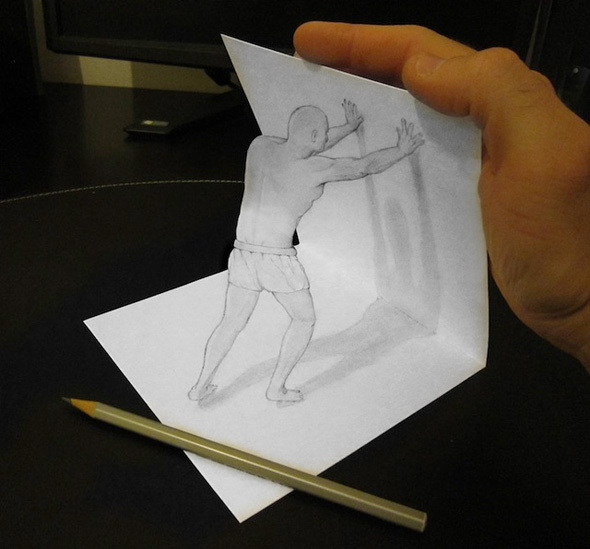 Just watch how brilliantly he makes it possible for his viewers to believe his drawings are popping out of the page into the third dimension! 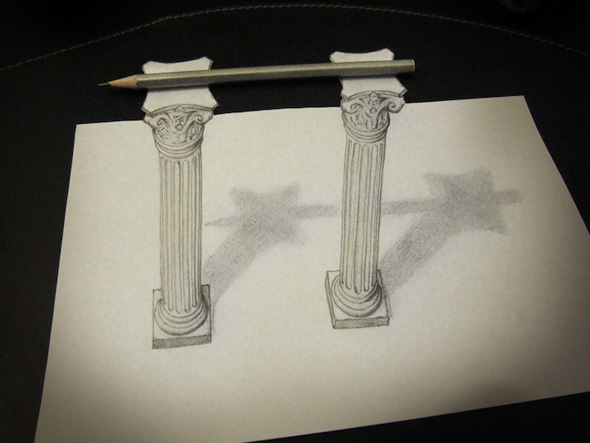 All of the below incredible anamorphic illustrations play with light, shading, and perspective to trick the human eye into believing that inanimate sketches have come to life. Which one is your favourite? Can you pick one up over the others? 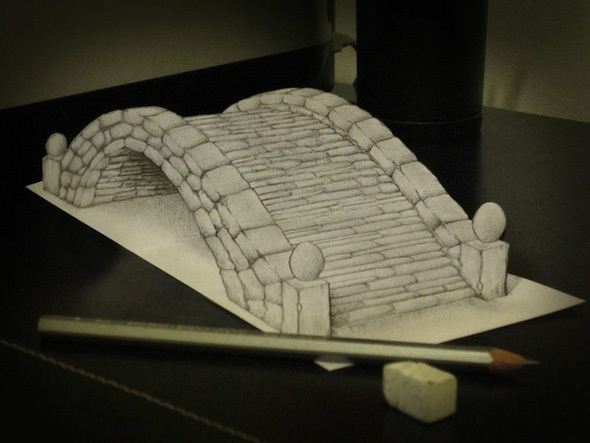 For more awesome 3D illustrations, check out the works of Ramon Bruin. I am pretty sure this is fake. Vincent – I don’t think there is anything fake about this. 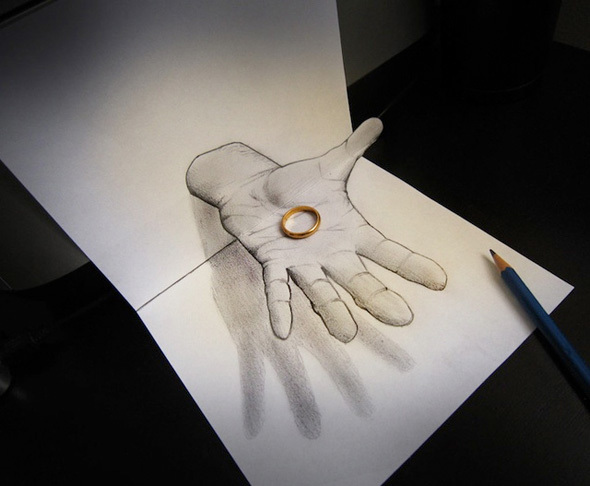 It’s one piece of paper, in some cases folded, with a drawing on the paper. 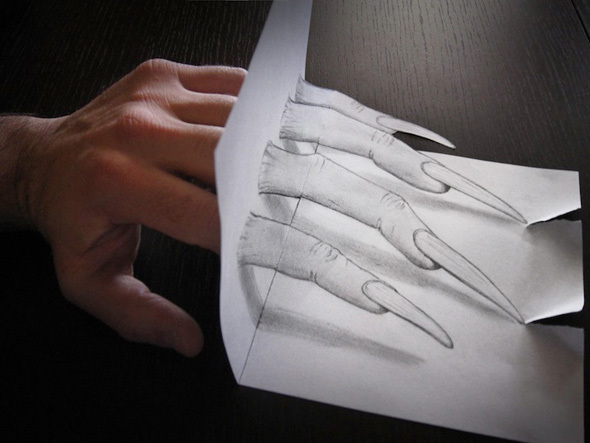 I suspect that the hands and possibly the pencils are real, but they could be drawn. Woah, weird!!!! 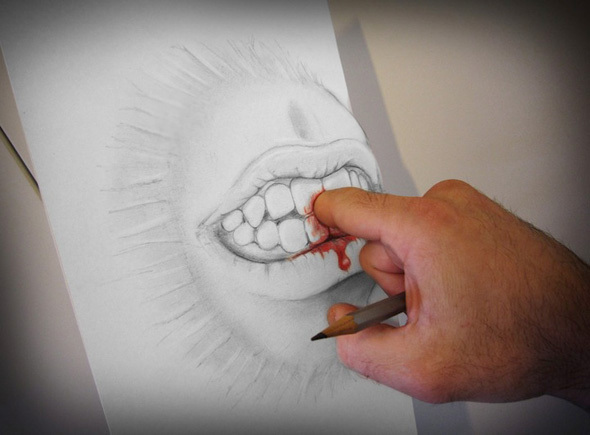 Wish I could draw like that…. 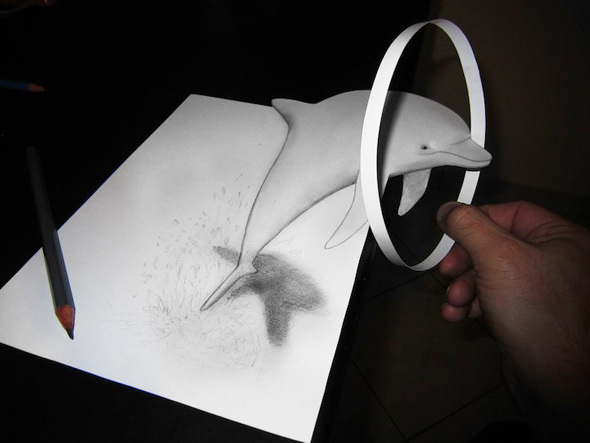 Wow so cool I have got to try to do that been drawing 35 years Can you show me how? So f***ing cool. I can see on the first one where one of the sides bends. But did he cut out paper then placed it onto the paper to make it look so real? Really cool. If i had to rate, i would rate it 6/5 stars. 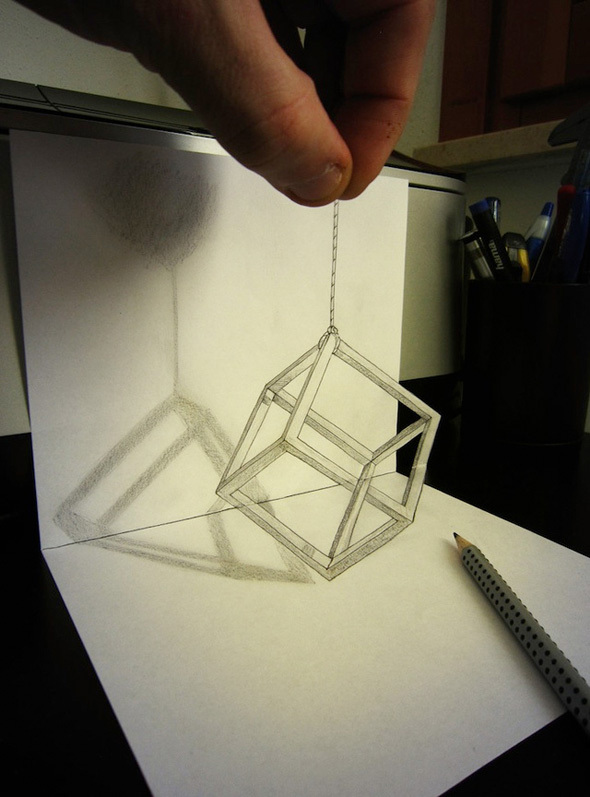 I first picked “Atlas” pushing the paper as my favourite because it was the drawing from which I figured out how Diddi does this But my favourite is the impossible cube because he has even drawn in a “break” in the box to make you think there is a photographic trick. I don’t comment very often. OR COULD GET THE BEST O I EVER… GENIOUS!! 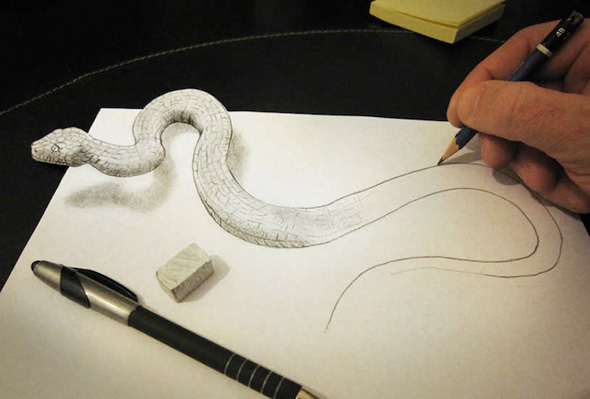 In the artist’s words you quoted (“All you need is a pencil and something to draw on, and you can create something really magical”), I think he left something out…. Also needed for these is a really sharp pair of scissors. And, of course, a whole lot of artistic talent! 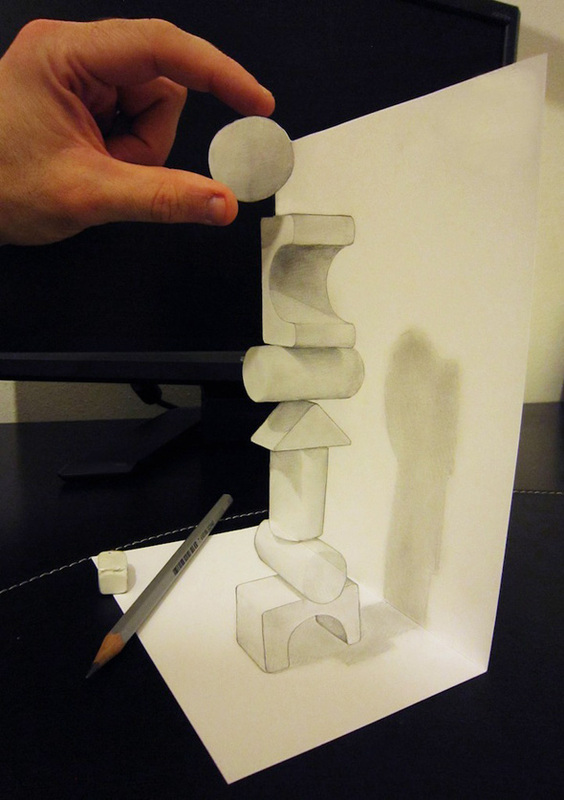 I can’t understand how he drew the alleged 3D elements that go beyond the edges of the sheet of paper. It’s not a matter of painting the paper with a black marker pen, because there are places which their shadows or inhomogeneous background are clearly visible behind. For the people who think this is fake, we drew on one piece of paper, cut it out then past it into another. Easy.